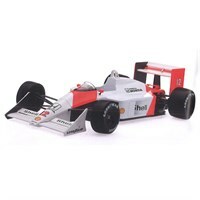 Minichamps 1:43 resin model of the #12 McLaren MP4/4 as driven to victory by Ayrton Senna in the 1988 San Marino Grand Prix. Minichamps 1:43 resin model of the #12 McLaren MP4/4 as driven by Ayrton Senna in the 1988 Brazilian Grand Prix. 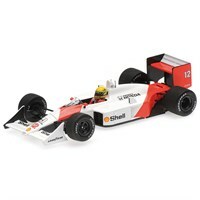 TrueScale Miniatures 1:18 diecast model of the #12 McLaren MP4/4 as driven to victory by Ayrton Senna in the 1988 Japanese Grand Prix. 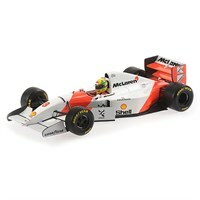 Minichamps 1:43 diecast model of the #27 McLaren MP4/5B as driven to victory by Ayrton Senna in the 1993 European Grand Prix. 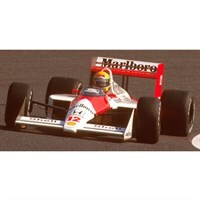 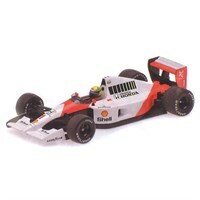 Minichamps 1:43 resin model of the #27 McLaren MP4/5B as driven to victory by Ayrton Senna in the 1990 Japanese Grand Prix. Minichamps 1:43 resin model of the #27 McLaren MP4/5B as driven to victory by Ayrton Senna in the 1990 German Grand Prix. Minichamps 1:43 resin model of the McLaren MP4/5B Elevated Nose Cone Test Car as driven by Ayrton Senna in the 1990 Monza. 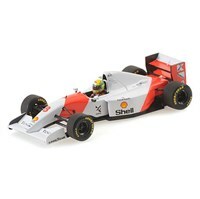 Minichamps 1:43 resin model of the #27 McLaren MP4/5B as driven to victory by Ayrton Senna in the 1990 USA Grand Prix. 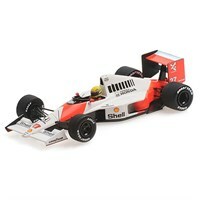 Minichamps 1:43 resin model of the #27 McLaren MP4/5B as driven by Ayrton Senna in the 1990 Canadian Grand Prix. Minichamps 1:43 resin model of the #27 McLaren MP4/5B as driven by Ayrton Senna in the 1990 Monaco Grand Prix. 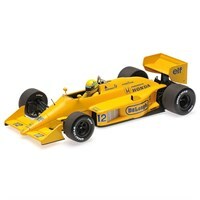 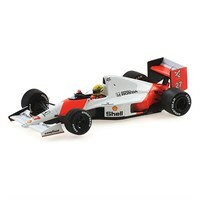 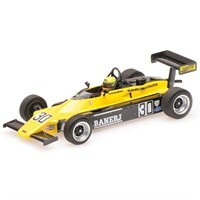 Minichamps 1:43 resin model of the #12 McLaren MP4/4 as driven by Ayrton Senna in the 1988 Formula One season. Minichamps 1:43 diecast model of the #1 McLaren MP4/6 as driven to victory by Ayrton Senna in the 1991 Monaco Grand Prix. 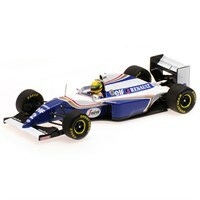 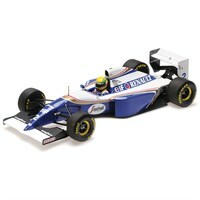 Minichamps 1:43 diecast model of the #2 Williams FW16 as driven by Ayrton Senna in the 1994 Brazilian Grand Prix.